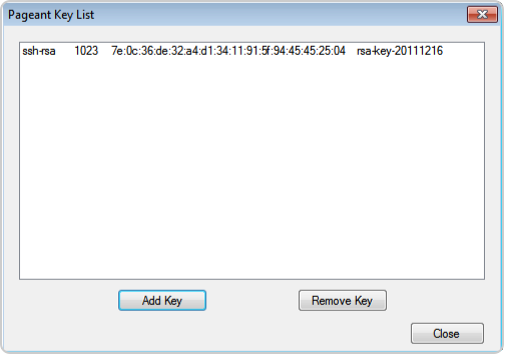 Then, continue using the ssh-add command to add your keys. The authenticity of host 'bitbucket.org (104.192.143.1)' can't be established. remote: No supported authentication methods left to try! conq: logged in as teamsinspace. debug1: Connecting to bitbucket.org [172.16.10.101] port 22.
debug1: Host 'bitbucket.org' is known and matches the RSA host key. In this run, the system offered the emmap1 public key first. It failed, so the system tried to use the default key and failed again. If the proper key fails, use the troubleshooting steps for the Permission denied (publickey) error message. Enter ps at the command line when you have at least one loaded SSH key. /bin/ssh-agent – The running ssh-agent. /bin/sh – The shell you're in. /bin/ps – The process you're running. If this response returns more than one ssh-agent, kill all versions of the agents and restart ssh-agent.